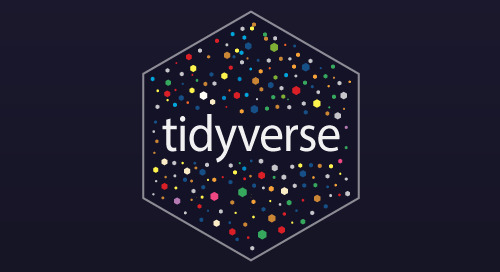 For several years now, the plotly package has provided an `event_data()` function for accessing click, hover, and drag event information in shiny. 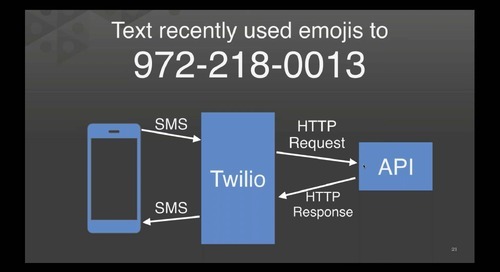 This functionality provides a powerful way to build dynamic websites with multiple coordinated data views that share information with one another. Recently, we’ve added support for accessing more types of events, notably among these is ability to respond _during_ brushing events. 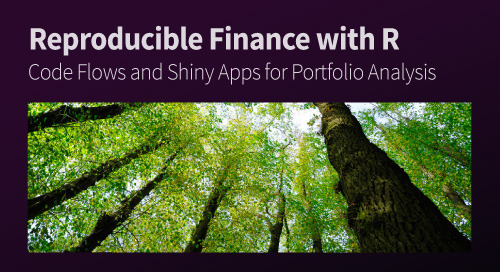 In this webinar, I’ll show you how to access these events in shiny and respond to them in various ways, including approaches that help ensure a fluid and responsive user-experience. 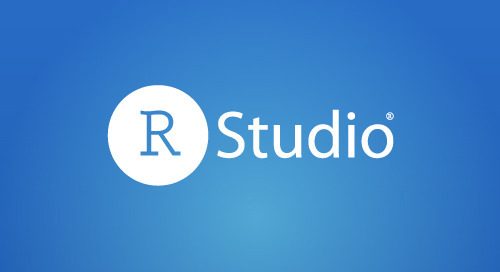 Carson is a software engineer at RStudio. 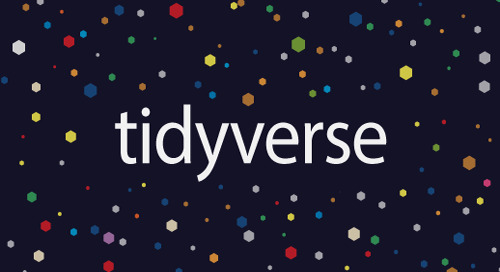 In his own words: "I enjoy creating things that make data analysis more accessible, efficient, and informative. Those things could be anything from a programming interface, to a web page/application, or a dynamic report. 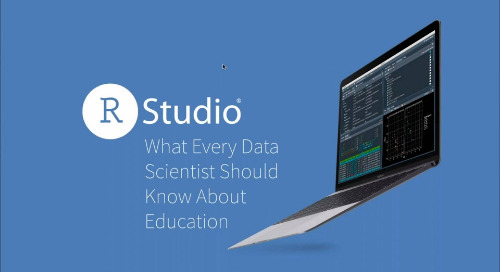 I consider myself an expert in interactive web graphics, and tend to focus on the intersection of data visualization, statistics, R, and web technologies." Please register to receive regular updates on our webinars. Thousands of programmers teach coding, web design, robotics, and other skills in the workplace or after-school programs and bootcamps, but most have never been taught how to teach well. 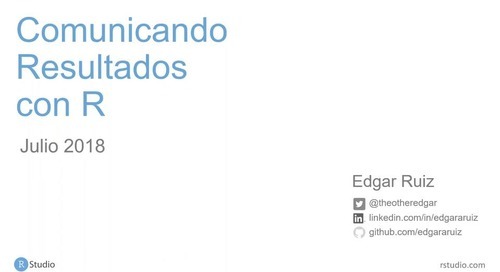 Hay ocasiones que, cuando trabajamos en un análisis en R, necesitamos dividir nuestros datos en grupos, y después tenemos que correr la misma operación sobre cada grupo. 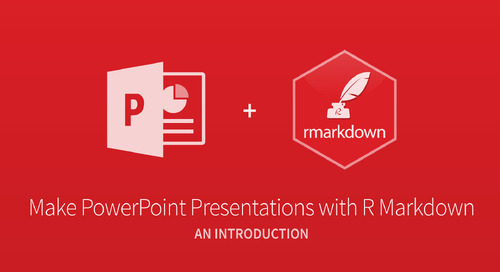 This webinar demonstrates how to create feature rich PowerPoint presentations from R Markdown and how to use these presentations to share insights, visualizations, Shiny apps, and more. 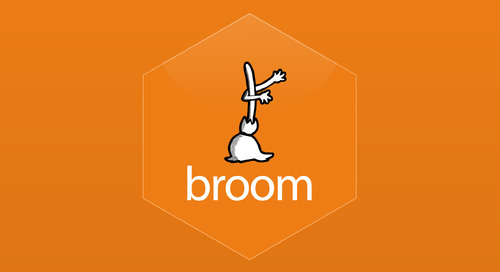 In this webinar I’ll demonstrate how to use to broom to work with many models at once. 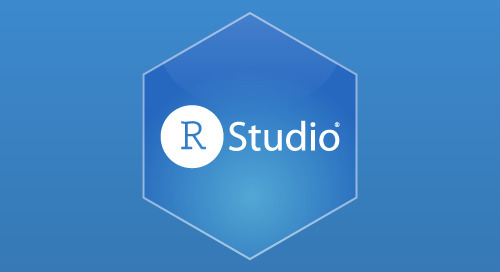 In this webinar, we will create and code a real (but simple) portfolio analysis in order to explore R's data import, wrangling, and visualization tools in the world of investment management. 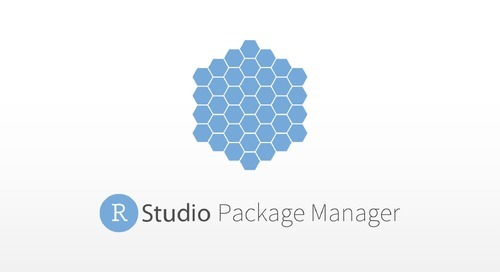 This webinar will introduce RStudio Package Manager, a new product to organize R packages across teams, departments, and organizations. 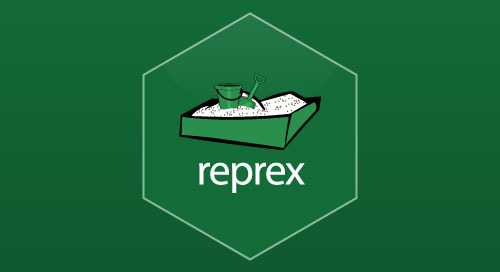 What is a reprex? It’s a reproducible example. 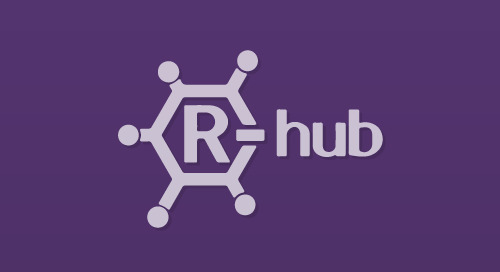 Making a great reprex is both an art and a science and this webinar will cover both aspects. 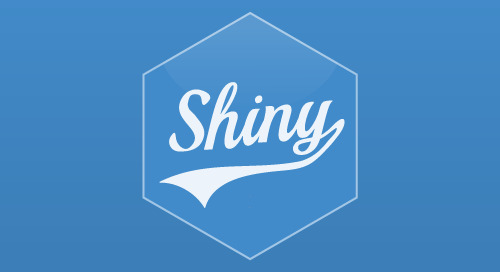 shinyloadtest and shinycannon are two new tools that work together to help you answer the question: how many users can my app support? 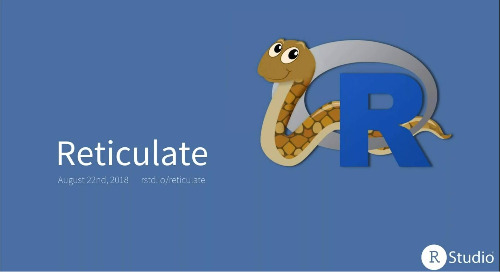 Plumber is an open-source R package that converts your existing R code into a web API; this enables you to leverage your R code from other platforms or programing languages. 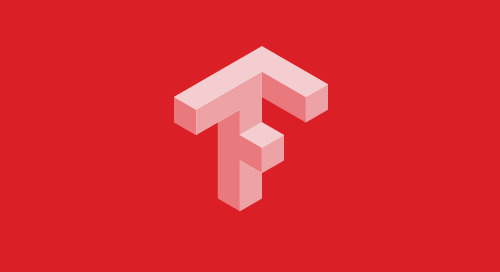 TensorFlow is an open-source software library for numerical computation using data flow graphs. Thinking inside the box: you can do that inside a data frame?! 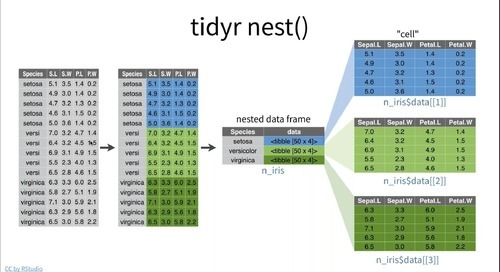 The data frame is a crucial data structure in R and, especially, in the tidyverse. Working on a column or a variable is a very natural operation, which is great. 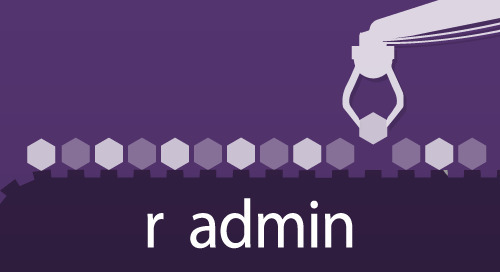 But what about row-oriented work?